Renowned for the famous beaches, Goa is the place where one dreams to spend their holidays. It is just a matter of days when we would be celebrating Diwali. Here Diwali begins on the day of Naraka Chaturdashi. 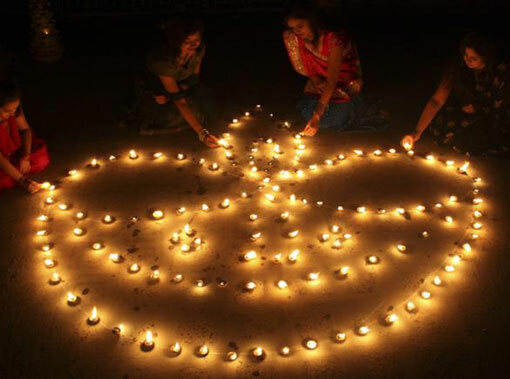 On the eve of Diwali, people clean their houses and decorate it with illuminated lanterns, mango leaves and marigold flowers. Paper made effigies of Narakasura filled with grass, oil are burned on the following morning to ward off the evil. 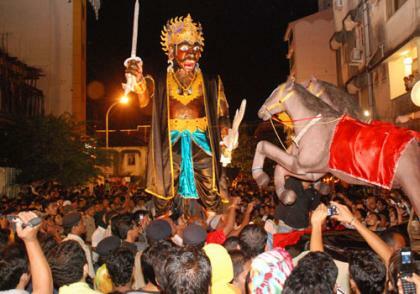 It would be better if he put some light on Narakasura on whose demise the festival is celebrated. Born as the Asura son of the earth Goddess and Lord Vishnu, Naraka went on to be the most powerful ruler in the world. It was foretold that Naraka would be killed by Lord Vishnu himself. Lord Vishnu, in his avatar as Krishna killed him with his Sudarshana Chakra. Before dying, Narakasura requested Lord Vishnu a boon that his death should be celebrated by people of the earth. Since then Naraka Chaturdashi is being celebrated every year. Another version of the story relates that Narakasura requested the boon from his mother, that his death anniversary should be celebrated with lights every year. Diwali symbolizes the victory of good over evil and light over darkness. If you are planning an outing this Diwali season, Goa would be the perfect destination for you and your family. A fun filled and memorable vacation is the requirement one desires of and in Goa you can be sure to get the same. Book your accommodation, before it is very late. From the team of Graciano Cottages we wish each and every one of you a "Safe and Happy Diwali."